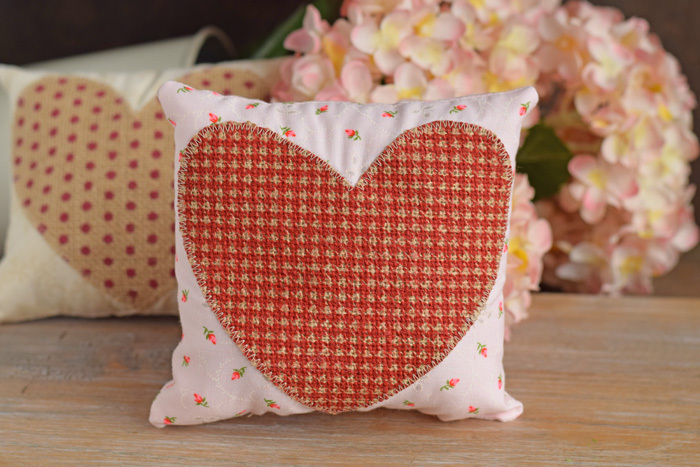 This Mini Valentine’s Day Pillow with Burlap Heart makes a cute holiday decoration or gift! 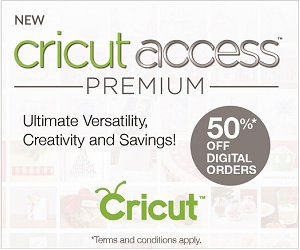 This is a sponsored conversation written by me on behalf of Cricut. The opinions and text are all mine. This post contains affiliate links. 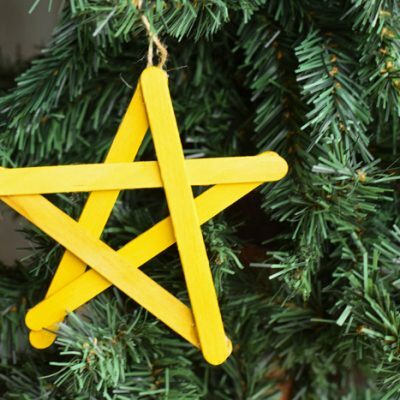 Do you make holiday decor or gifts regularly? 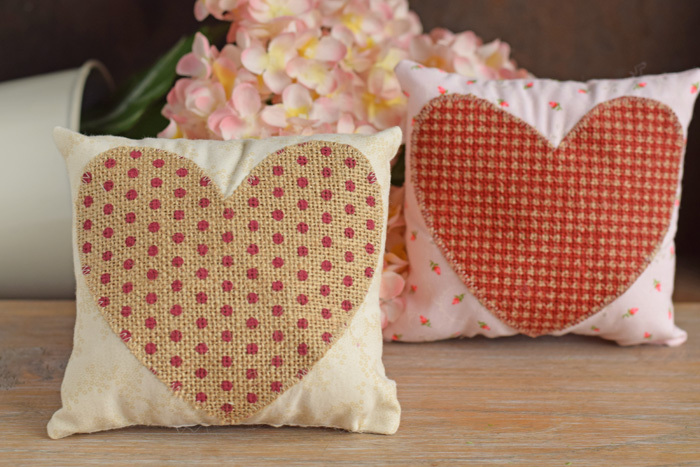 These Mini Valentine’s Day pillows with a cute burlap heart are easy to whip up for decoration or a nice gift idea! 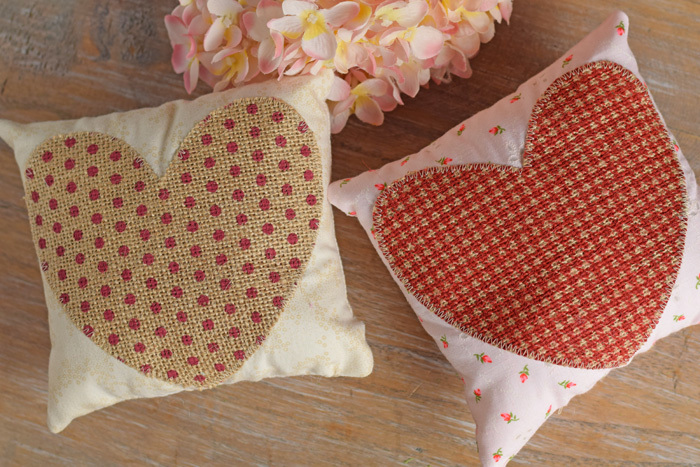 Today’s tutorial demonstrates how to create the basic pillow. Perhaps you’d like to add lavender or another scent to create scented pillows. Or maybe you’d like to add a ribbon on top to hang the pillow. Their are several variations that you can use to make customize these pillows. The “star” of the project is definitely the burlap heart. 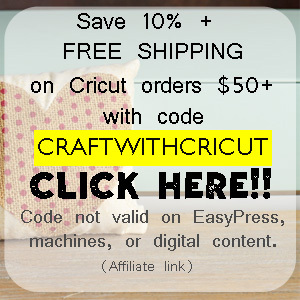 Have you tried cutting fabric with the Cricut before? 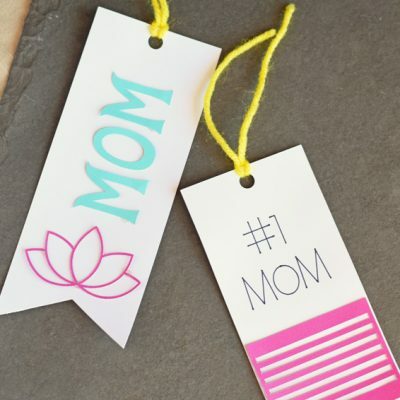 Many people only associate the Cricut with fabric or vinyl, but it can cut so many things! 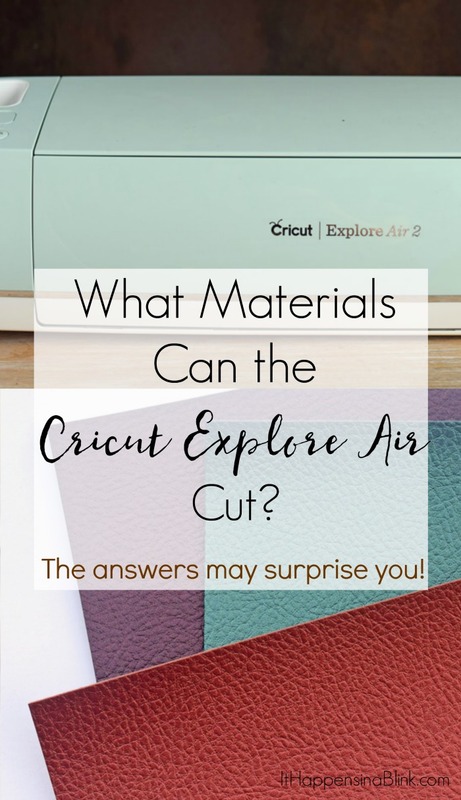 The Cricut Explore Air 2 can cut most bonded fabrics. What does bonded mean? It means that the fabric has some sort of interfacing or liner behind it. Fabric, even non-knit fabrics like cotton and burlap, have some stretch to them. Without interfacing or something “bonding” the fabric on the back, the fabric may move while cutting or not cut correctly with the Cricut. 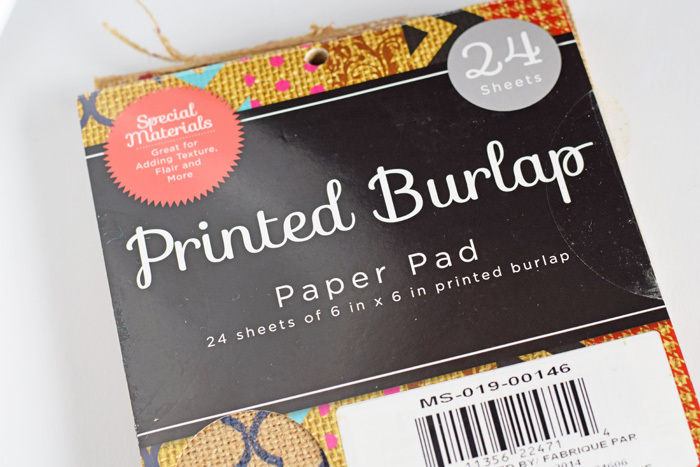 When I stumbled across this Burlap pad recently, I noticed the paper liner on the back and wondered how it would cut with the Cricut. I’m here to report that it did awesome! 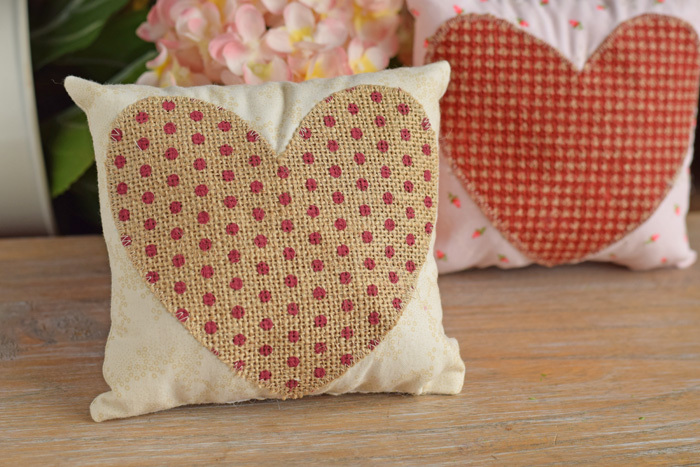 These pads of printed burlap come in a variety of cute colors and patterns. The have a paper liner on the back of the burlap. 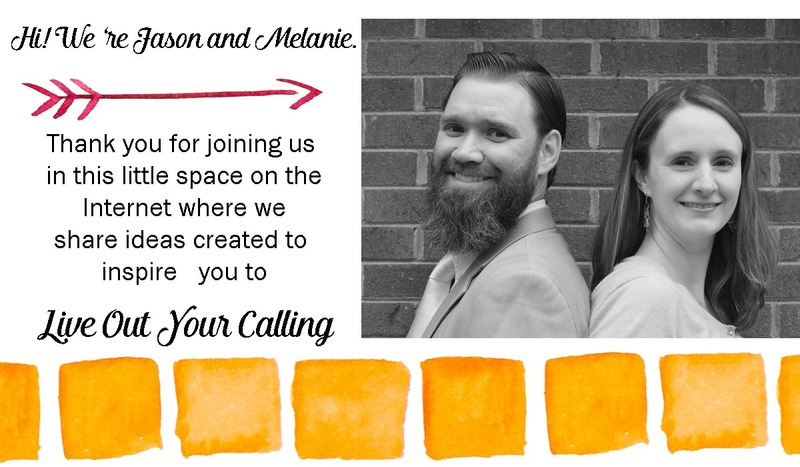 Find them in the card stock section of your local arts and craft store. 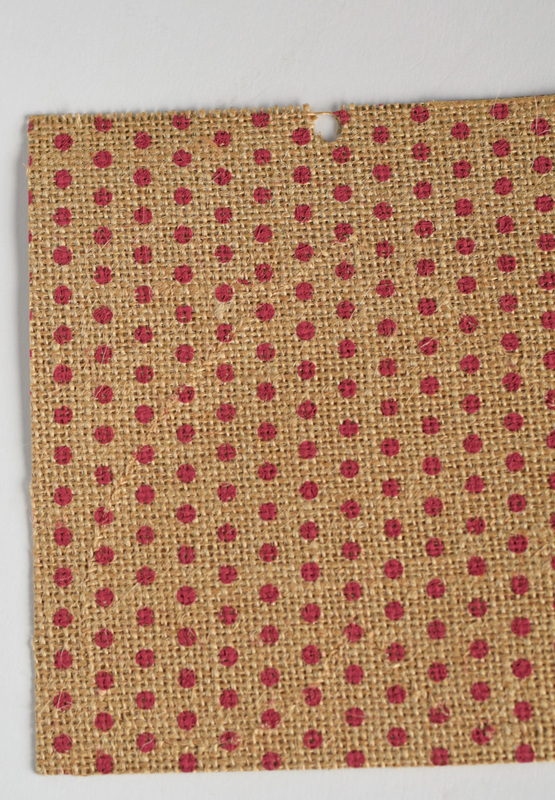 This printed burlap is thick, especially with the paper on the back, so it does require the use of a deep cut blade. 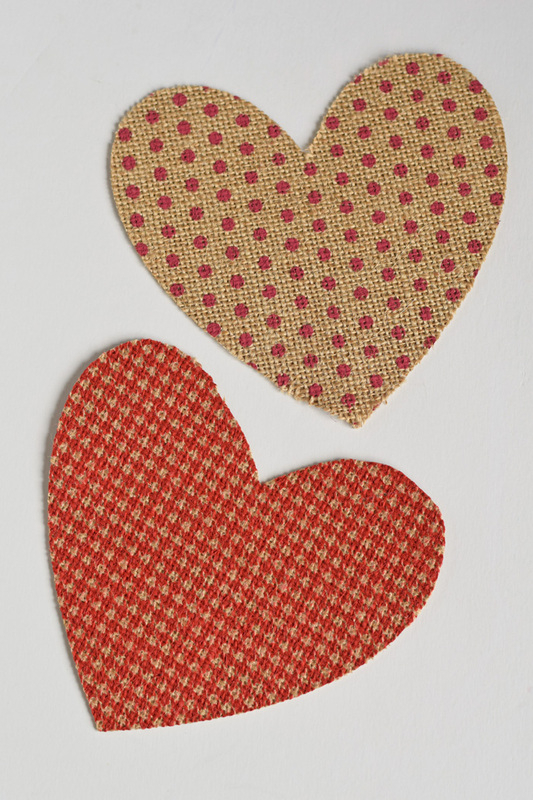 Use your Cricut Explore Air or Cricut Explore Air 2 to cut the burlap hearts (one per pillow that you are making). 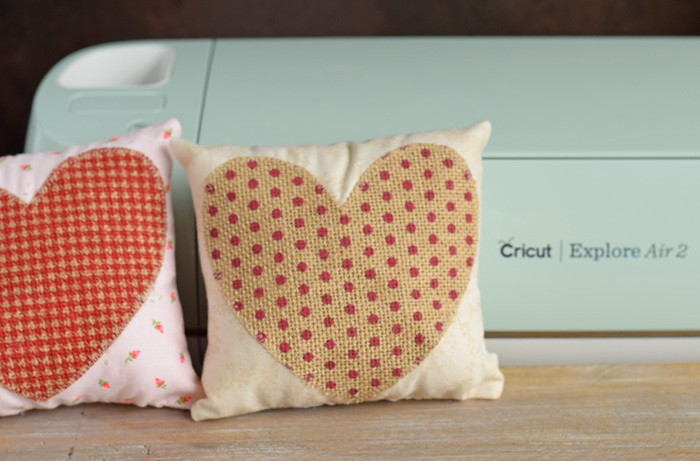 Open up Cricut Design Space and use “Insert Shapes” to create a heart. I cut mine around 5 inches. Be sure to have the deep cutting blade in the blade housing of your Cricut! 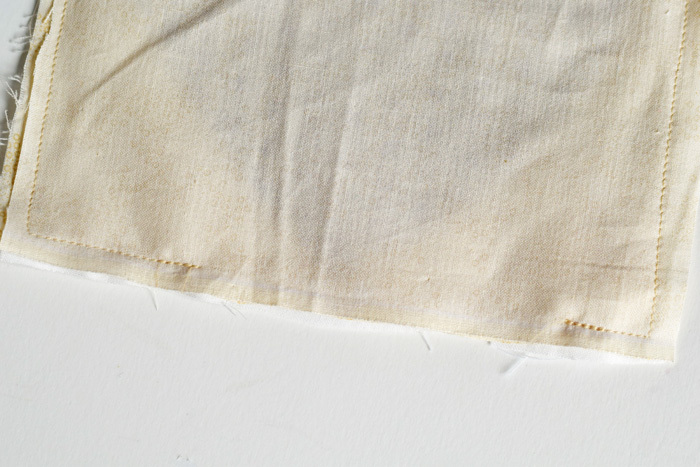 Following the manufacturer directions, adhere the interfacing to the back of one of the cotton pillow pieces. 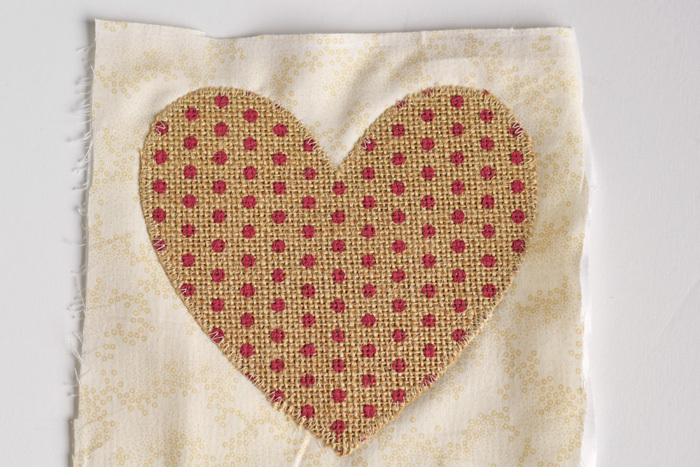 Pin a burlap heart to the front of the interfaced-backed cotton piece. 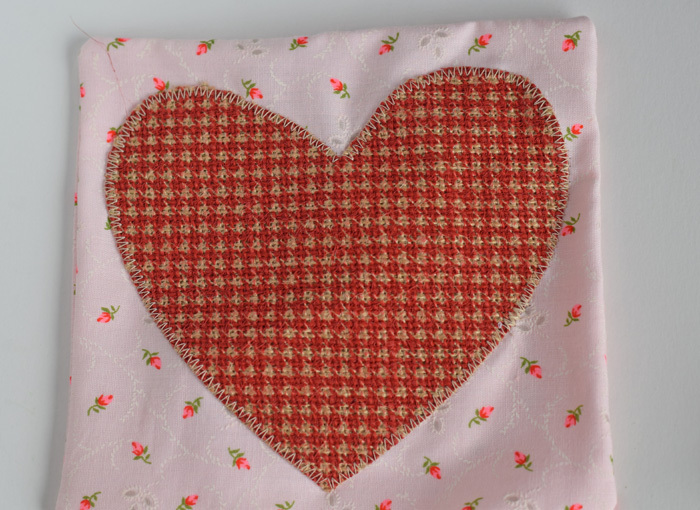 Sew around the edges of the heart with a zigzag stitch. 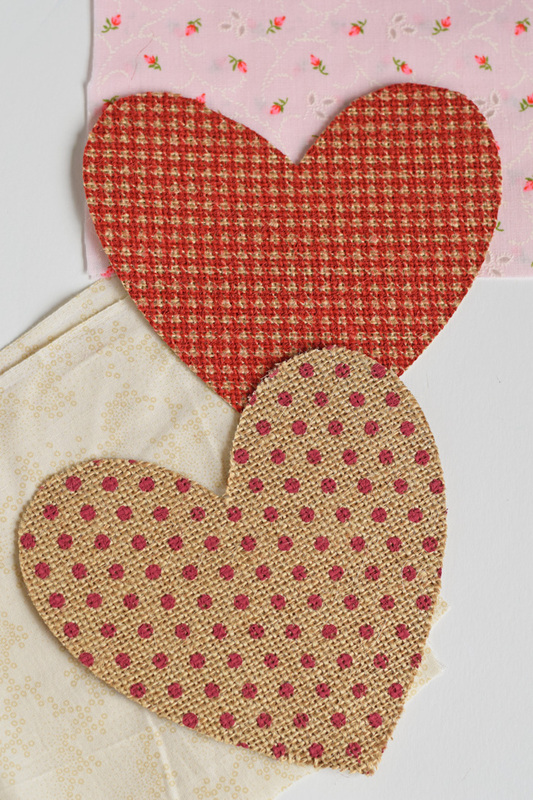 Pin the other cotton fabric piece to the heart piece with the fabric RIGHT sides together. Sew around the edges with a 1/4″ seam allowance, leaving a large opening at the bottom for turning the pillow. Stuff the pillow with fiberfill, being sure to fill the corners and pillow evenly. Use the hand sewing needle and thread to close the pillow opening. 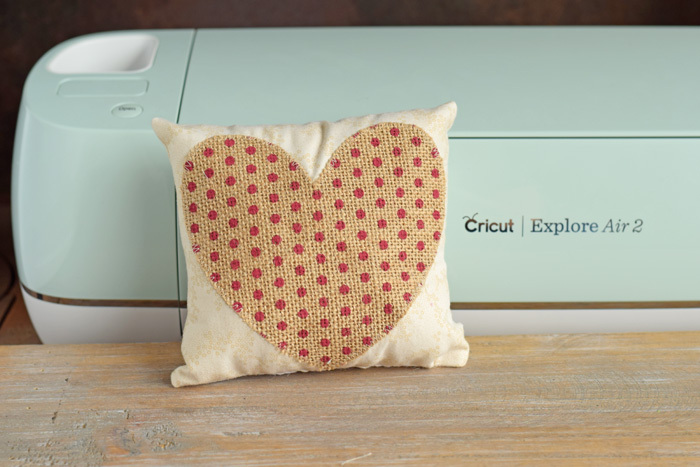 If you received a Cricut Explore Air under the tree this past Christmas, Valentine’s Day may be the first holiday for which you are using the Cricut to get crafty and decorate. How exciting! 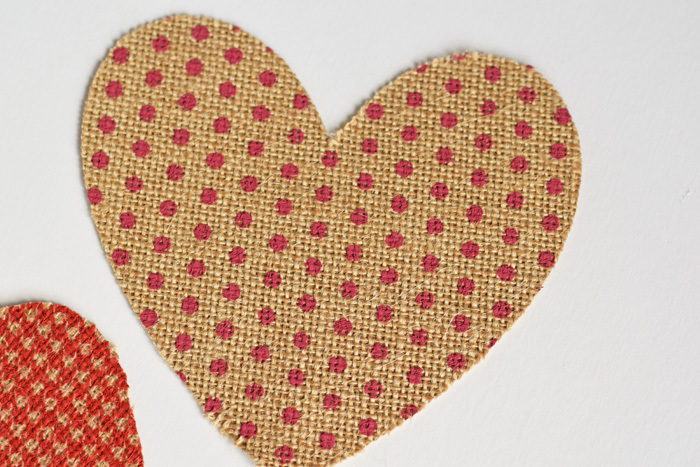 Get acquainted with the different materials that your Cricut Explore Air can cut with this great list of Valentine’s Day projects! 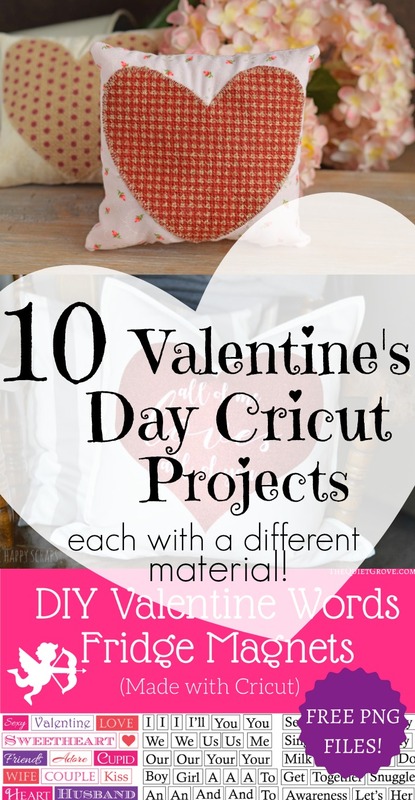 Each project below is geared towards Valentine’s Day and uses a different material. Happy Crafting! 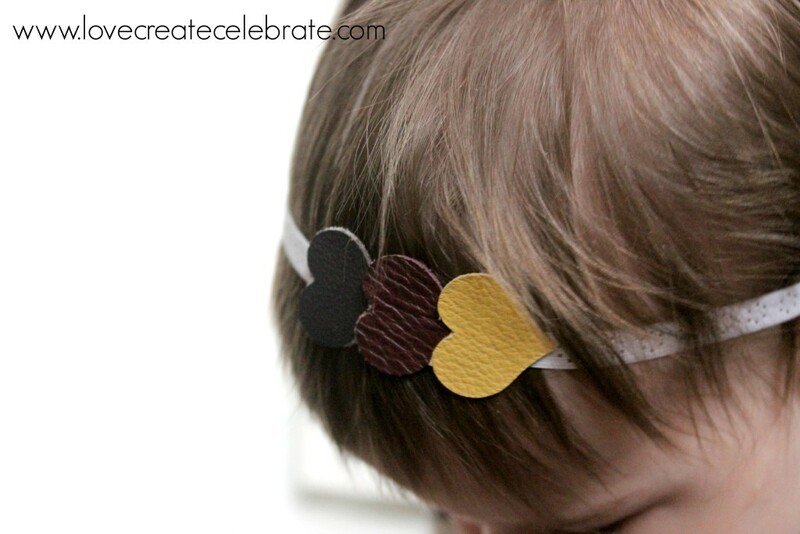 This Leather Heart Handband from Love Create Celebrate uses leather. 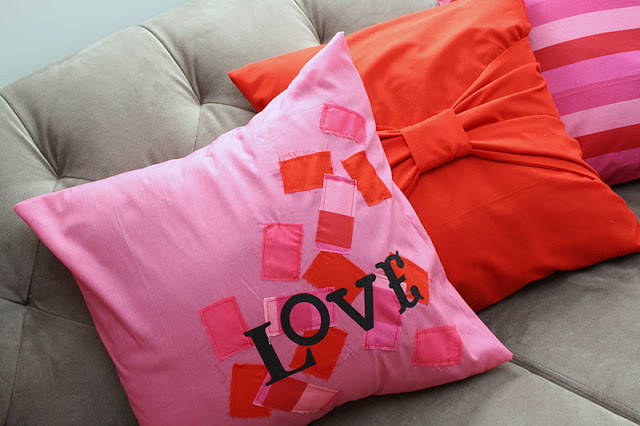 The Love Pillow Case from Rae Gun Ramblings uses bonded fabric. 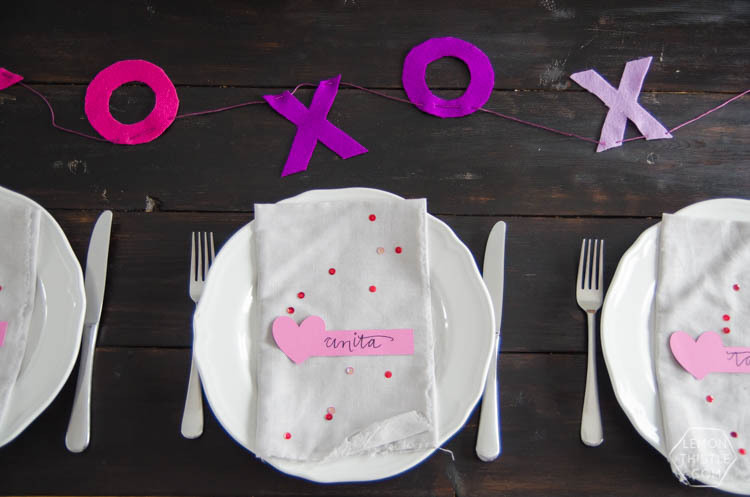 Lemon Thistle used card stock to make these easy and cute Valentine’s Day place cards. 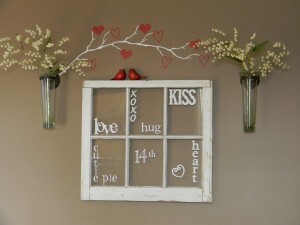 Organize Your Stuff Now used shelf paper for this Valentine Word Window, but the Window Cling from Cricut would be awesome for this project! 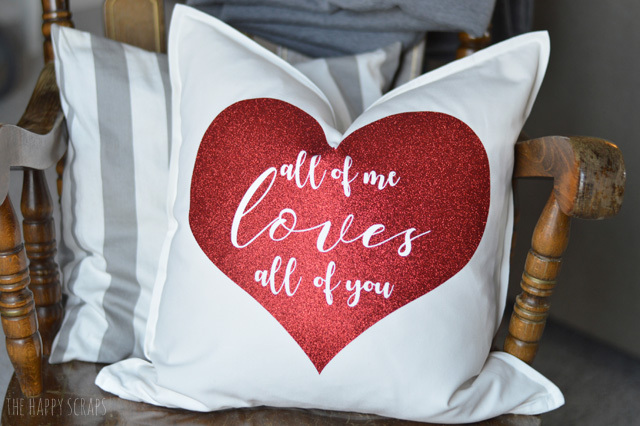 The Happy Scraps used lovely Glitter Iron-On Vinyl for this cute Valentine’s Day pillow. 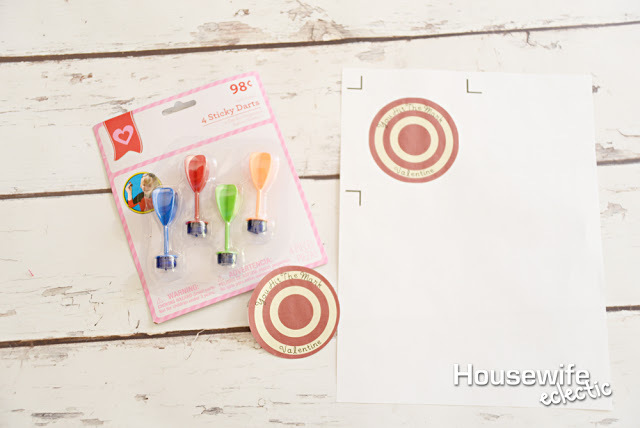 Try out Print and Cut on printer paper with these “You Hit the Mark” Valentines with Housewife Eclectic. 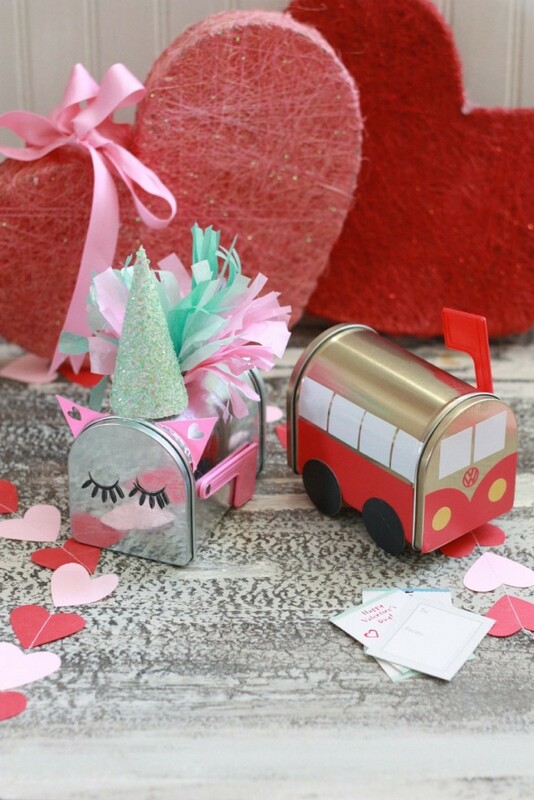 Use regular vinyl to make these adorable DIY Valentines Mailboxes from Everyday Jenny. 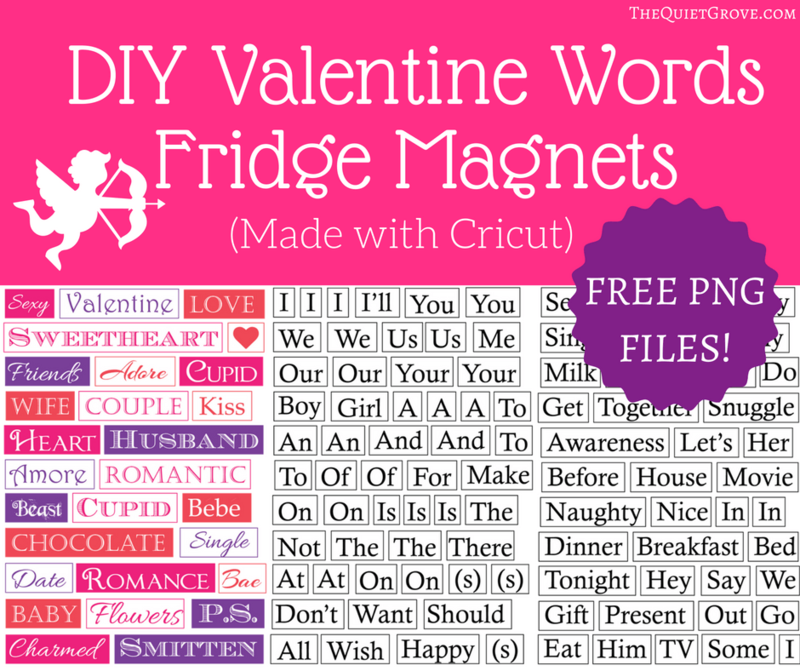 Experiment with printable magnet sheets with these DIY Valentine Word Fridge Magnets from The Quiet Grove. 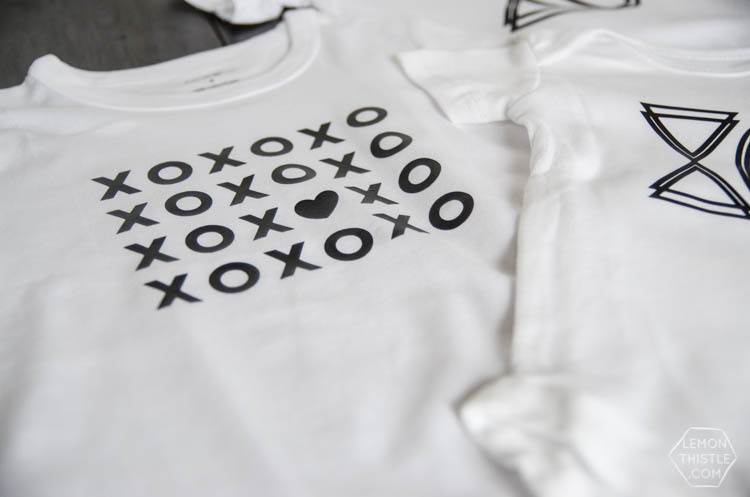 Use Heat Transfer Vinyl (Iron-on vinyl) to make these cut Modern Valentine’s Day shirts. The Lemon Thistle even includes a free print file to help you make them! And, of course, use burlap to use these pillows that I showed today! Are you looking for more Cricut tutorials, tips, and projects? 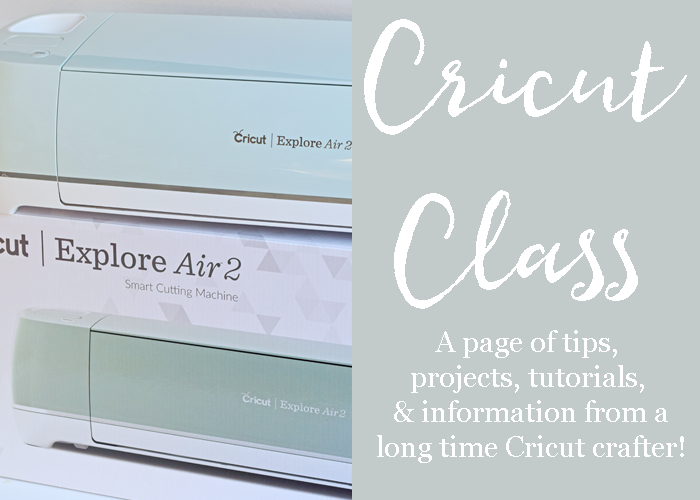 See my Cricut Class page by clicking below! THis is SOOO cute!!! I need to make one for each of my kids. They will LOVE it! 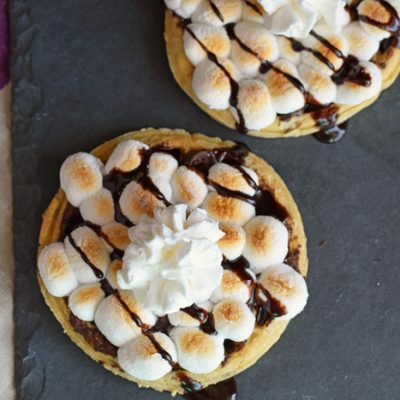 So cute and easy! I love all the different printed burlap options! I love giving sweet gifts for Valentine’s Day! 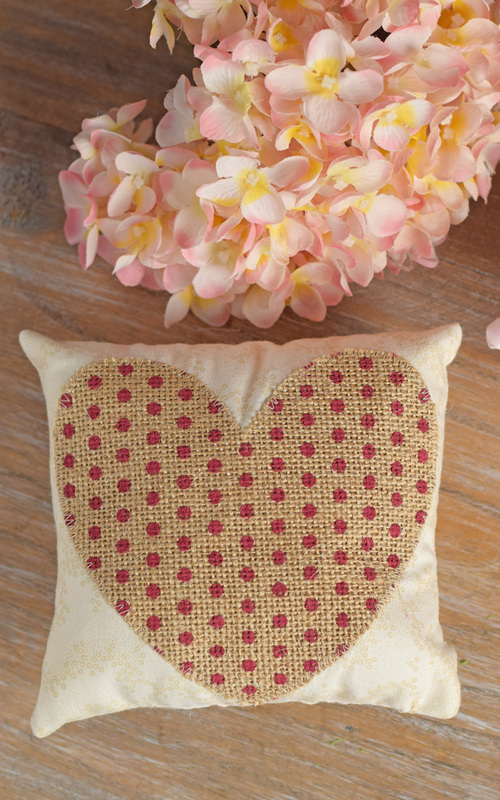 These pillows are adorable and super easy with a Cricut! Wow, these are beautiful! I don’t think I’m creative enough to make this, but I’d totally buy it on Etsy! I love these pillows! I need to make some for Valentine’s Day, I am totally lacking in the decoration department for that holiday! These pillows are really cute. Thanks for the fun and creative project to do. They will look great on my couch. Those pillows are so cute! I need to look for some of that patterned burlap fabric! I have the Explore Air! I had NO idea they cut burlap! That’s awesome!